Image courtesy of Lively Table. Cocktails and a healthy lifestyle do not have to be mutually exclusive. In addition to finding health-conscious alternatives, drink water in between alcoholic beverages and remember to pace yourself. Get shaking, stirring, and mixing with these cocktails that offer a healthy twist to your favorite summer drinks. Summertime is in full swing, and we all know what that means: Temperatures are rising, and our thirst for cocktails is growing. There's just one problem. Many cocktails are packed with sugars and calories, and they do no favors for our waistlines. Thankfully, all your hard work to get in shape this season doesn't have to disappear when you decide to have a few drinks. 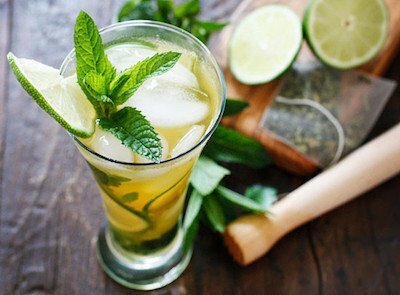 Below, you will find five health-conscious cocktail recipes that keep your fitness goals in mind. Green tea has seemingly endless benefits, some of which include improving your brain function and boosting your metabolism. Throw in the tastiness of a mojito, and you have yourself a guaranteed summer favorite. This recipe was published by SkinnyTaste, and instructions can be found here. Image courtesy of The Real Food Dietitians. Sip, sip, hooray for kombucha! The bubbly drink improves digestion and immune function and is full of probiotics, vitamins, enzymes, and more. 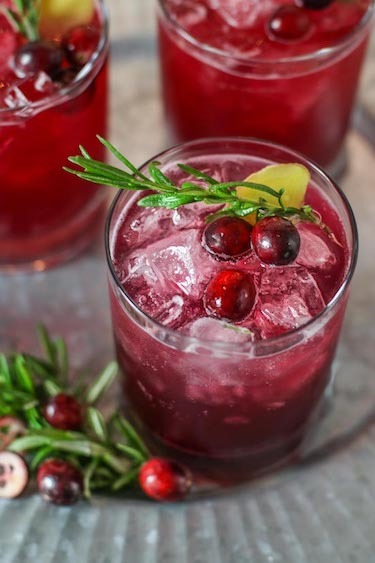 Cranberries are great for urinary tract health, and the ginger this recipe calls for can help ease nausea and have anti-inflammatory effects, among other benefits. Mix all of these together and voila! You have a mocktail perfect for any occasion. This recipe was published by The Real Food Dietitians, and instructions can be found here. Image courtesy of Tone It Up. 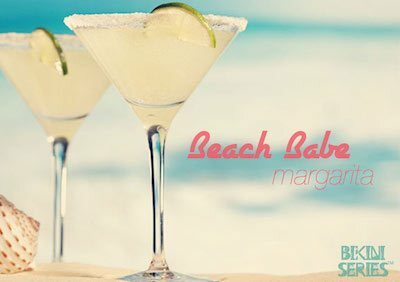 Summer isn't complete without a margarita (or two or three), and there's no reason those of us with fitness on the mind have to abstain from the tequila-based cocktail. Traditional margaritas, especially prepackaged margarita mixes, are often full of sugar. This version, however, gives us a health-conscious alternative sure to cool down your weekend. This recipe was published by Tone It Up, and instructions can be found here. Image courtesy of The Weary Chef. 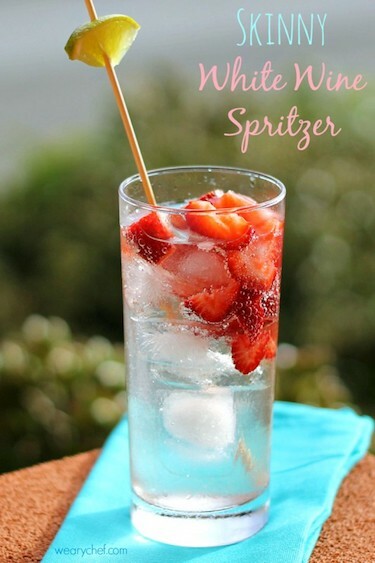 In this recipe, your glass of wine is given a special twist by adding strawberries, lime, and seltzer water. The addition of seltzer water adds a bit of fizz while keeping calories low, but if you like your drinks a bit sweeter, the recipe's author suggests adding diet lemon-lime soda instead. This recipe was published by The Weary Chef, and instructions can be found here. Image courtesy of Lively Table. 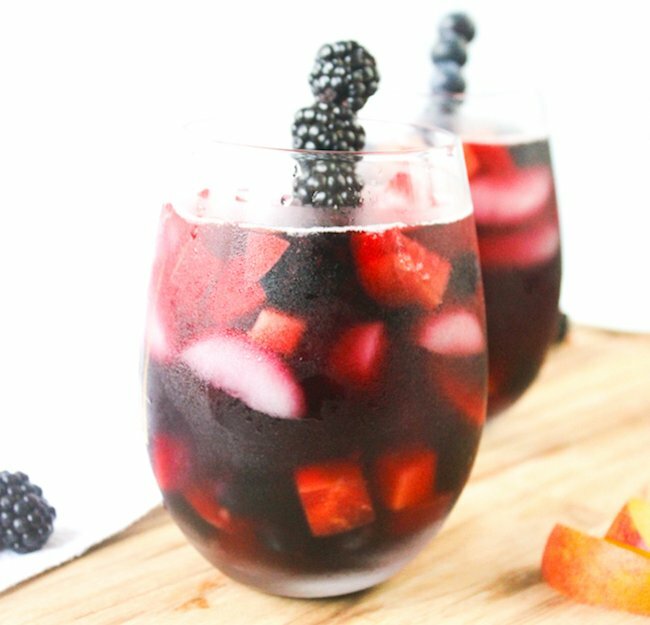 Nothing tops off a day spent lounging at the beach quite like a glass of sangria. But it's often easy to fall into the trap of adding loads of sugar to the mix. 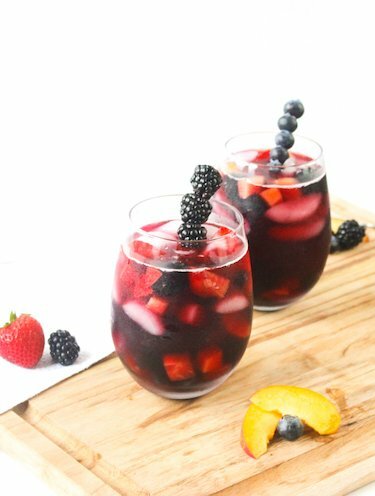 With this recipe, your sangria is loaded with antioxidants and other nutrients from a variety of berries, peaches, pomegranate juice, and red wine. This recipe was published by Lively Table, and instructions can be found here. Do you have suggestions for healthy substitutes in your favorite cocktails? Let us know in the comments below!